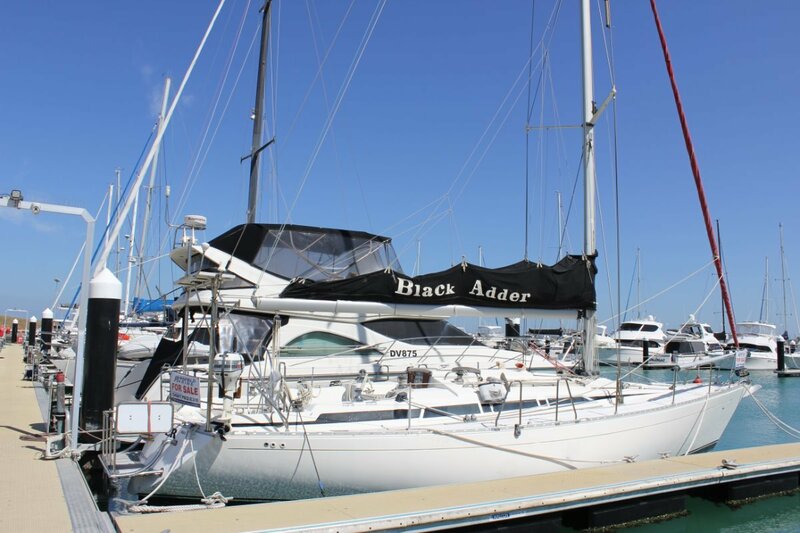 This Quality Built British yacht, has competed in the famous Fastnet & Sydney to Hobart yacht races. Manufactured for speed and comfort she still performs very well with the right strings pulled. Her fitout is conducent with modern day yachts and requires a little tlc to the interior woodwork returning her to her former glory! There has been considerable $'s recently spent on a new Electronic Navigation Package, Anchor Winch and Swim Platform. Want to go cruising? or Race around the cans? This Beauty is definately worth a look! More Info? Call Grahame Hunt 0421 793226. Forward double birth cabin, Aft double birth cabin with separate private access to own bathroom..
Can sleep up to 10 with dining table modification. Drop the lines & go sailing for the weekend while you spruce up the interior. Make it YOUR home away from home!